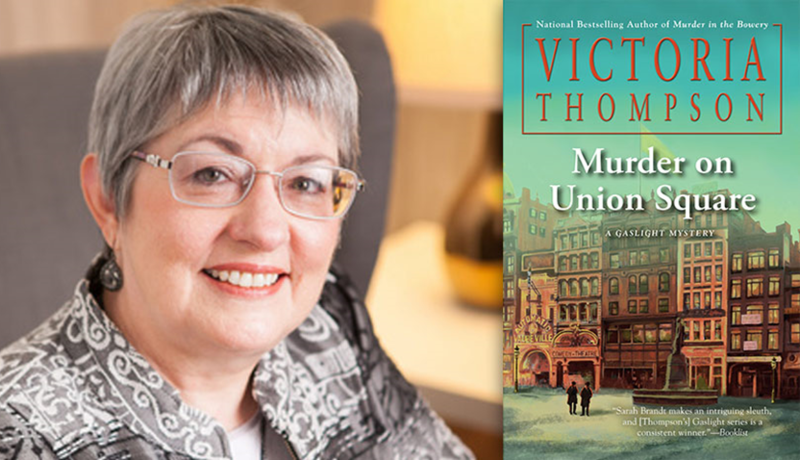 Join us as we welcome award-winning author Victoria Thompson, whose popular Gaslight Mystery series brings Gilded Age New York City to life. The twentieth title in the series. Murder on Union Square, was published on May 1st. Ms. Thompson also has a brand new series: the Counterfeit Lady novels. The first title, City of Lies, blends romance and suspense as a confidence woman tries to evade her pursuers in Washington D.C. and New York City during World War I. A short talk will be followed by questions from the audience. Victoria Thompson’s books will be available for purchase, or bring your own copies for her to sign!